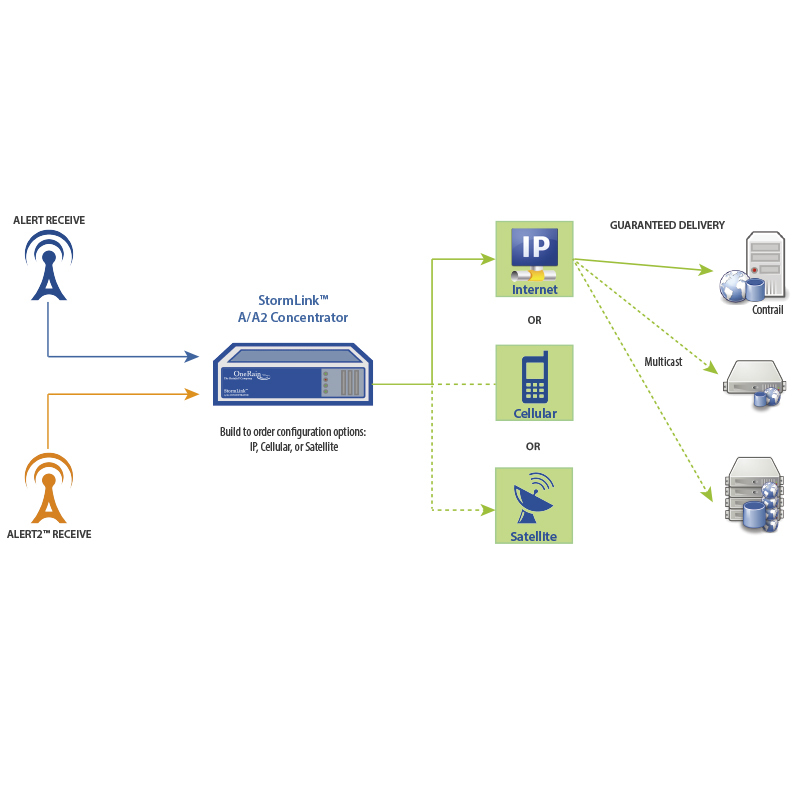 Connecting the StormLink™ A/A2 Concentrator to a separate antenna and receiver near a base station or at a repeater location creates a redundant system over internet. If Internet connection is lost, the messages are queued. Upon reestablishing connectivity with the Contrail server, the queued messages sent to the base station. No messages lost. 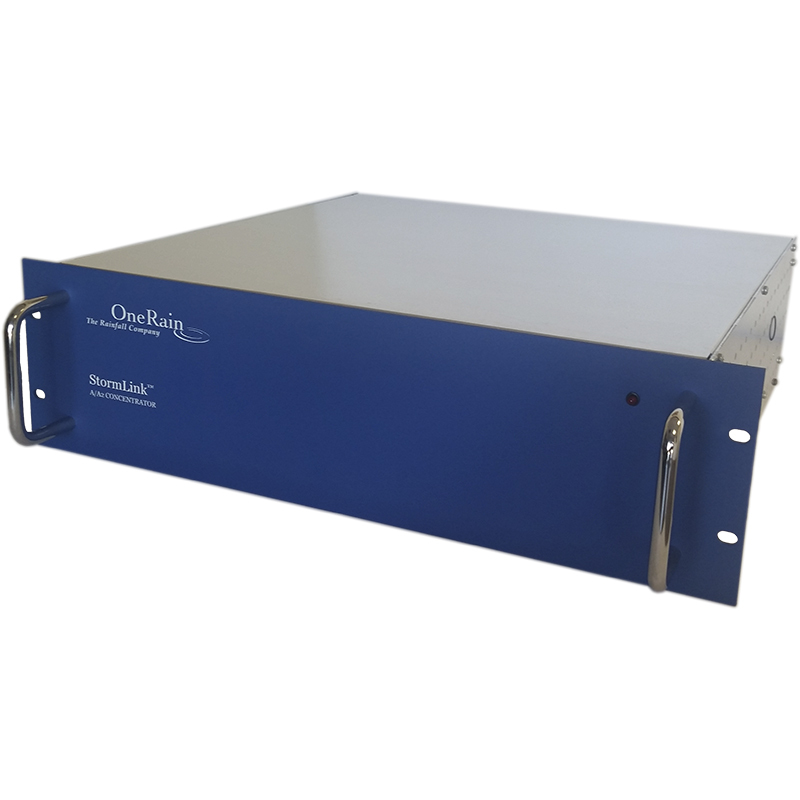 OneRain’s StormLink A/A2 Concentrator delivers ALERT and ALERT2™ data from a radio receive site via TCP/IP, with guaranteed delivery to a Contrail® data collector. Its data storage/buffering capabilities prevent data loss from reporting gauge sites in the event of a network connectivity outage.